The combination of breathing, movement, and mindfulness is a powerful way to help your child de-stress. Aerial yoga like all forms of movement moves emotions. The mind, movement, and breath are all connected to the relaxation response. Children can reduce their anxiety through aerial yoga poses, breathing, and focus of the mind. Activates the quieting reflexes of the brain and nervous system. 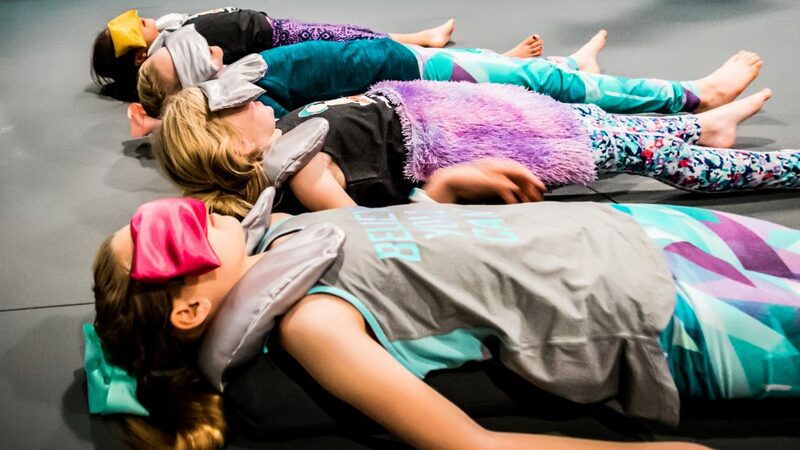 At the end of every mindful child aerial yoga class, children lay in fish pose. Fish pose provides sensory input in the form of tactile (touch), proprioception (deep pressure), and vestibular (movement), which, in turn, reduces stress and tension. Encourages deep breathing. 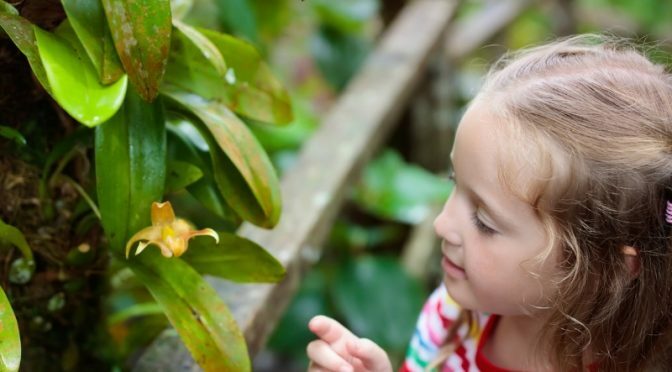 Using language that resonates with kids, incorporating the senses, and making breathing part of a story or obstacle course motivates kids to breathe deeply. Enhances the relaxation response through movement and poses. Going upside down, when supported through the aerial yoga hammock, is calming to the central nervous system. Introduces children to mindfulness. Simple mindfulness activities, in the aerial yoga hammock, provide children with tools to assist them in counteracting stress and anxiety in their daily lives. Builds adaptive skills such as self-esteem and confidence. Aerial yoga requires strength and lots of practice to climb to poses. When children see their effort pay off by being able to climb up the hammock – it teaches them that with persistence and effort they can achieve any goal! If you want to learn more ways aerial yoga can decrease anxiety and enhance your child’s well-being sign up for a free trial class at Mindful Child Aerial Yoga. Books are a great way to teach children yoga and mindfulness. 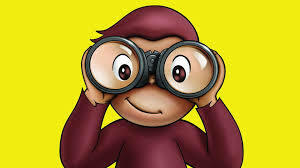 Children love Curious George because he is always on the move and getting into mischief. Read a short story such as Curious George by H.A. Rey and infuse it with yoga, breath work, and mindfulness. At the end of the story give your child a “pop quiz” on the content. Have them show you the yoga poses, breath work, and mindfulness activities they remember, as they explain what happened in the story. Curious George Yoga enhances creativity, focus, and attention. 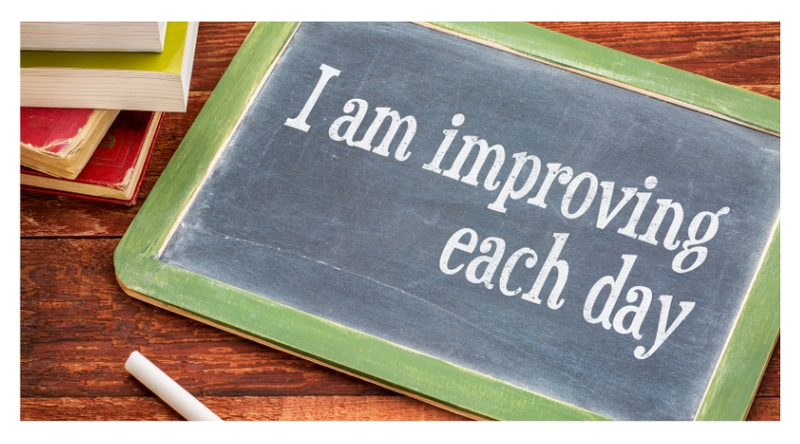 It builds working memory and concentration, development of logic, and mindfulness. Reading Curious and doing the above poses promotes yoga pose practice and review. We are going to read a story about Curious George. Curious George is always very curious and sometimes it is hard for him to stay out of trouble. As we read the story we will engage in mindfulness and movement activities. Sit up tall in Easy Seated Pose. Ready? Let’s begin. After children have reenacted the story have them take it a step further by asking them what they think happened after the story. Have your child show you what happened next with movement, breath, and mindfulness. Spaghetti Body is a relaxation technique known as Progressive Muscle Relaxation . 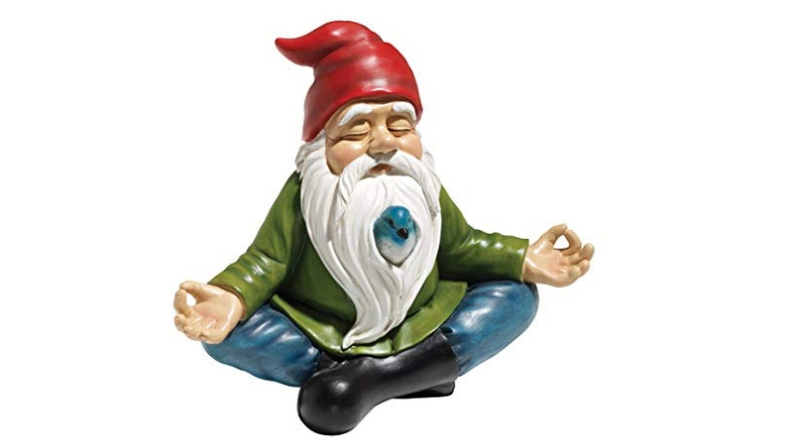 Progressive muscle relaxation involves tensing and relaxing muscle groups. In this activity, kids tense and relax muscles while pretending to be uncooked and cooked spaghetti. Spaghetti Body teaches children how to relax their muscles when they are tight. Research shows progressive muscle relaxation can reduce anxiety and stress. Additionally, Spaghetti Body helps improve attention, mindful awareness, concentration, and self-concept. Make you body straight and tight like a piece of uncooked spaghetti. Glue everything together and squeeze. Breathe slowly in and out through your nose. Your belly should rise as you breathe in and fall as you breathe out. Notice how you feel. This is what happens to your body when you are mad or nervous. Imagine that your uncooked spaghetti noodle is being placed in a pan of hot water. The noodle is wet and it begins so soften. Breathe in as you curl your toes in and scrunch your feet. Hold for one, two, three. Breathe out as you start to wiggle your toes and let your feet begin to soften just like a wet, warm, noodle. Wet noodles are relaxed and wiggly – not tight and stiff. As you breath in tighten your legs. One, two, three. As you breathe out start to wiggle your legs and let them relax. Take a deep breath in and make your hands into tight fists and your arms straight and tight. 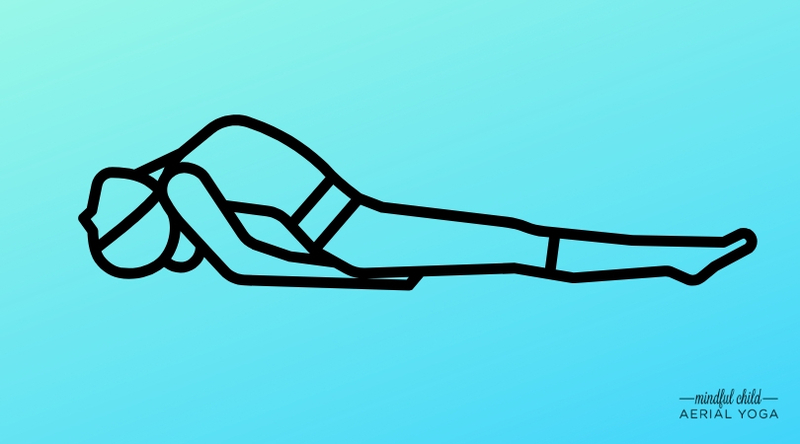 Hold for one, two, three, now let all the air out as you relax your fingers and arms into a wet wiggly noodle. Take a deep breath in as you bring your shoulders up by your ears. Scrunch your shoulders. One, two, three. Breathe out as you let your shoulders begin to soften and relax down your back. Close your eyes and scrunch up your entire face. Breathe in. One, two three, release your breath and let your face relax. I like to squeeze a fresh lemon on cooked spaghetti noodles. If you would like lemon squeezed on your noodle raise your hand I will put a cotton ball with lemon essential oil in it. Ta-da – you are a cooked spaghetti noodle! Scan your noodle to make sure all the tightness is gone. Let your body feel relaxed and calm. Breathe in and out through your nose slowly. Notice how you feel. 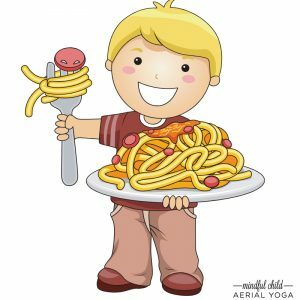 At Mindful Child, we like to pair Spaghetti Body with Spaghetti Pose, which is an activity from Mindfulness for Children: 150+ Activities for Happier, Healthier, Stress-Free Kids, by Dr. Tracy. This adds extra benefits such as deep breathing, tactile discrimination, and flexibility. 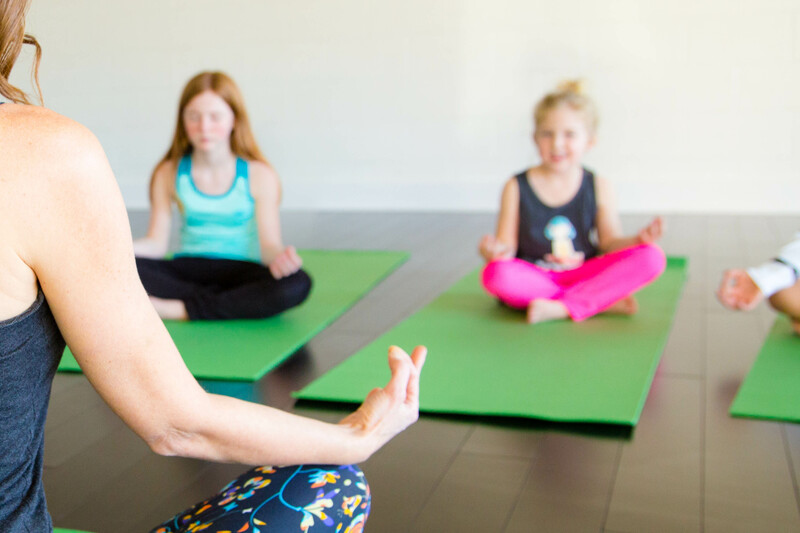 If you’d like to learn more activities for home or the classroom sign up for the Mindful Child Teacher Training and become a kid’s yoga teacher! Mindful Memory is a fun way to enhance executive functioning, physical health, and mindfulness. Mindful Yoga Memory puts a mindfulness spin on a classic card game. Mindful Memory is simply the original memory card game, but with yoga poses, breath work, and mindfulness. 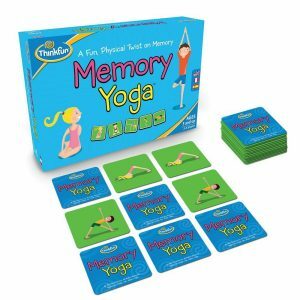 Yoga Memory card games can be purchased online or you can easily create your own. 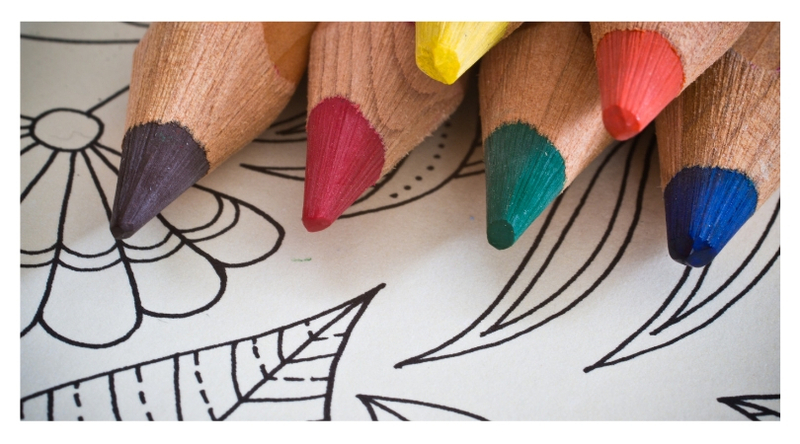 To create your own simply buy colored index cards and write, draw, or paste a picture of mindful movement and breathing exercises on one side. Make sure you create two of each card. Place the cards face down in rows. Have each player turn over two cards, looking for two that match. When the match is found, the group should perform that pose or activity. The player gets to keep the match and the player with the most matches wins. Mindful Yoga Memory helps children develop breath and body awareness while boosting matching, taking turns, social, and memory skills. 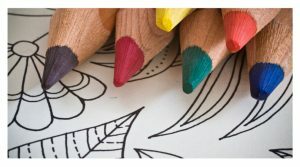 It also improves flexibility, coordination, executive function, and focus. Mindful memory is a fun way to review mindfulness concepts and poses. We are going to play Mindful Yoga Memory! I’m going to mix up the cards and lay them face down in four rows. When it is your turn, flip over any two cards. If the two cards match, keep them and we will do the activity on them. If they don’t match, turn them back over. Try to remember what was on each card and where it was. Also, remember during other people’s turns. Really be mindful and focus your attention on the cards. OK, we found all the matches! Lets count our matches. The player with the most matches wins.